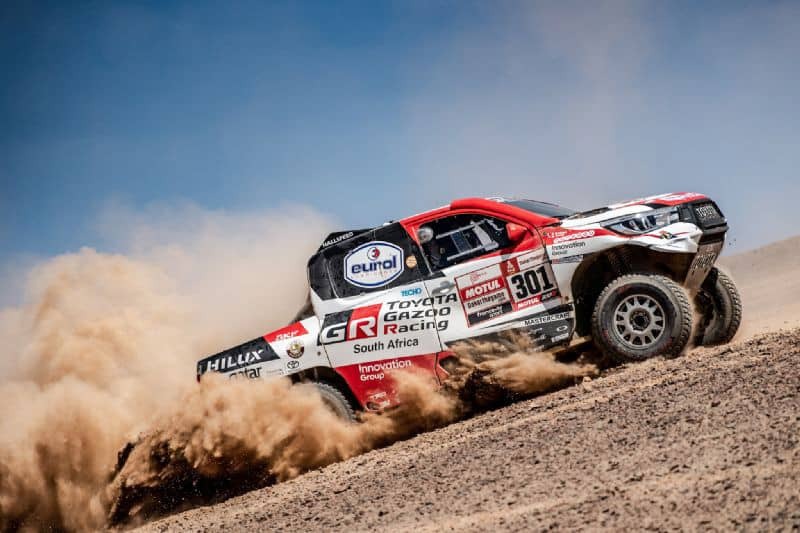 Toyota HiLux has triumphed with a milestone first victory in the world’s most gruelling rally, Dakar. Champion driver Nasser Al Attiyah and co-driver Mathieu Baumel cruised to the finish line with a 46-minute cushion after the 3,000km marathon dominated by Peru’s tricky and often treacherous sand dunes. Al Attiyah retook the lead on stage three – a position he did not relinquish despite some of the toughest stages yet seen on any South American Dakar. The victory means that Toyota GAZOO Racing has now won both of the world’s toughest automotive races – the 24 Hours of Le Mans and the Dakar Rally. “If we couldn’t win it ourselves, the next best thing was for one of our teammates to take the victory, and I am overjoyed at the final result,” he said.